Location, number of rooms, size, environment, mortgage research… We’ll cover all the important questions. In order to fully understand your needs, we’ll meet with you in your home (where feasible). We’ll discuss the property market in your chosen destinations and tailor your search. Together we’ll sign a contract and the search will commence. Our knowledge of the property market means that we can search agents’ properties as well as private sellers, small ads, solicitors, auctions… We’ll make pre-visits, check documentation relating to the properties, make a short-list and provide detailed reports of our chosen properties. We’ll organise a schedule and together we’ll visit the selected properties. We’ll analyse all the documentation relating to the sale, advise on a reasonable value for the purchase and negotiate the offer. If your project requires construction, renovation or interior work, we’ll put you in touch with reliable professionals and experts as well as negotiating quotes. We can also assist with project development, interior design, administrative advice and personal requirements at the removals stage. The purchase of property is one of the biggest commitments we can make. Finding the best professional to help you with this process is essential to ensure that you get most efficient resolution to your project as well as the best price. + WHAT IS A BUYERS’ AGENT? A Buyers’ Agent is a new profession dedicated exclusively to representing the needs of estate and property buyers. The objective is to accompany buyers along the whole journey of their project, from initiating the project to signing for the property then furnishing and moving in. + WHAT’S THE DIFFERENCE BETWEEN A BUYERS’ AGENT AND AN ESTATE AGENT? An Estate Agent looks after the interests of the property owner. They search for buyers and renters in order to fulfil their contract with the property owner. A Buyers’ Agent looks after the interests of the buyer. Their mission is to find, on behalf of their client, the property or estate that best suits the client’s needs. At the initial meeting buyers will discuss their precise requirements in order to avoid wasting time on fruitless visits, and to speed up the process of finding the ideal investment. The Buyers’ Agent will research via all means available (private sellers, notaries, auctions, estate agents…) to find the properties or estates that may suit the buyer’s needs. The agent will make the first visits to the property and provide full reports. If the client is interested in any of the properties visited by the agent, then a second visit with the client will be arranged. The Buyers’ Agent and the Estate Agent are two complementary professions – each working for the needs of their respective clients. + WHY ENLIST THE HELP OF A BUYERS’ AGENT? Lack of time, physical distance or the desire to have a thorough search of the market are all reasons to use a Buyers’ Agent. Financial Research. Assistance with all administrative requirements and quotes for renovation or construction work to finalise the project. + HOW MUCH DOES THE SERVICE COST? The fees (between 2-4% of the value of the property purchased) are fixed at the initial research mandate, but are only applied in the case of purchase. In other words, you only pay if the agent finds you a property. Don’t see the fees as a supplementary cost – it is the client who sets the total budget (fees included) at the initial meeting, therefore the Buyer’s Agent must find a property that meets this budget. In actual fact, the amount negotiated by the agent often reimburses fully or partially the amount in fees. + WHAT ARE THE GUARANTEES OF THE BUYERS’ AGENT? Our network and responsiveness allow us to efficiently see through the acquisition of our clients’ apartment, chalet, house or professional property. 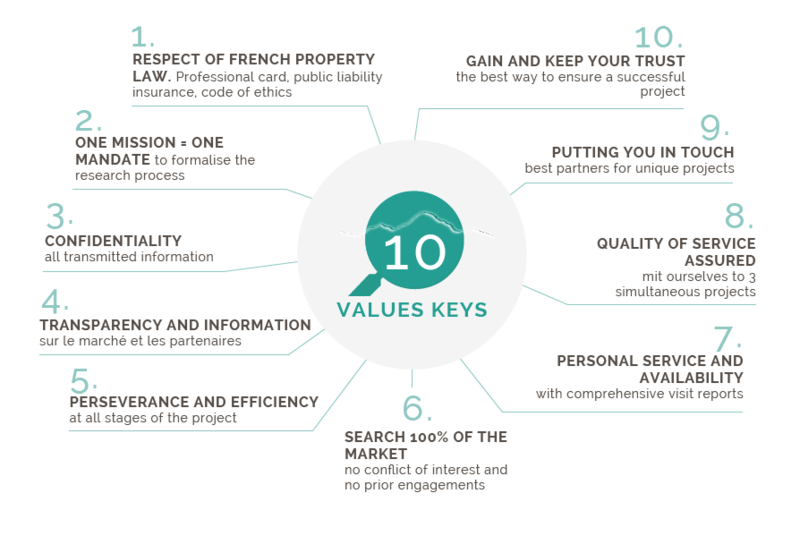 + WHY ARE WE A PART OF THE FNCI (THE FRENCH NATIONAL FEDERATION OF BUYERS’ AGENTS)? The profession of Buyers’ Agent, relatively new in France, is developing and structuralising. The principal bodies in the sector have decided to unite within the FNCI, in order to support and formalise the development of the profession to defend the interests of consumers. Estate sector professionals: Agencies, notaries, property sellers… Those with whom the members of the FNCI works in transparency and loyalty. Institutions (or public powers) for whom the FNCI represents the interests of the profession. Members or future members who require a place to exchange and network. Ducroz Real Estate / Buyers’ Agent, favorite properties. If you are selling terrain, your house, your chalet or apartment, your property could be perfect for one of our clients. Visit our page Current searches or send us an email with a description. consult the fees for the sale.